Current: Is Pro Tools First officially supported? Is Pro Tools First officially supported? 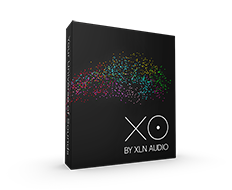 XLN Audio plug-ins are not available in the Avid Marketplace, which is generally a requirement from Avid in order for a plug-in to work in Pro Tools First. Through our collaboration with Focusrite/Novation we have been able to get Avid to make an exception for Addictive Keys. We are hoping that Avid will be able to make an exception for Addictive Drums 2 as well.